Hidden Valley Backhoe & Trucking, Inc. is a licensed and insured general engineering contractor that has provided demolition, hauling, excavation, trenching, utility installation, grading, soil compaction, and asphalt/concrete services in Oceanside, Carlsbad, Vista, San Marcos, and surrounding areas since 1999. Having successfully completed thousands of projects over the years, we've developed an excellent reputation for high-quality workmanship at very competitive prices. In addition to always giving our customers a great value, we also prioritize being honest, upfront, professional, and reliable. Hidden Valley Backhoe & Trucking, Inc. holds a Class A General Engineering Contractor license. We're also a San Diego Gas & Electric Certified Gas Backfiller. 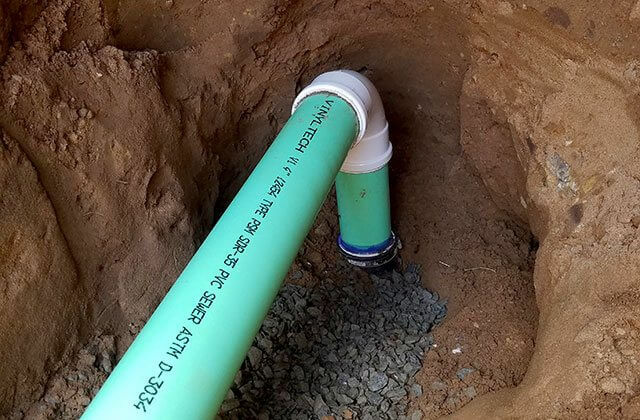 This means that we're familiar with federal, state, and local building and safety guidelines and are authorized to perform trenching and backfilling around gas and other service lines. 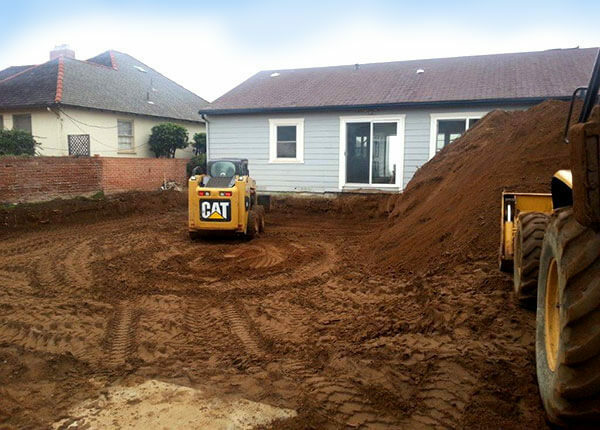 All of our grading and excavation work is performed by trade professionals (each with 15 years of experience or more) and supervised by our owner, Greg Federico, who has been working in construction for over 30 years. We're a non-union shop, and all of our work is backed by a written warranty. We welcome jobs of all sizes from general contractors, developers, and property owners, both residential, commercial, and industrial. When it comes to price estimates, we pride ourselves on our accuracy. Because of our years of experience and extensive industry knowledge, we're able to evaluate a project and have a clear understanding of the work that will be required. If there are unforeseen circumstances that require a change in the scope of the work, then we will provide a separate proposal for your consideration for the additional work required. (However, such cases are very rare, since issues like ground water or water spouts are typically discovered by the soil engineer before we are brought in.) In addition to be being honest and upfront with our customers, we keep our prices fair and competitive. Call today for your free on-site consultation and estimate. We can set up an appointment within the next few days at a time that works for you. If you have an emergency requiring backhoe, trenching, or excavating services, let us know; we'll do our best to accommodate your needs. Hidden Valley Backhoe & Trucking, Inc. has an exceptional team of graders and excavators. 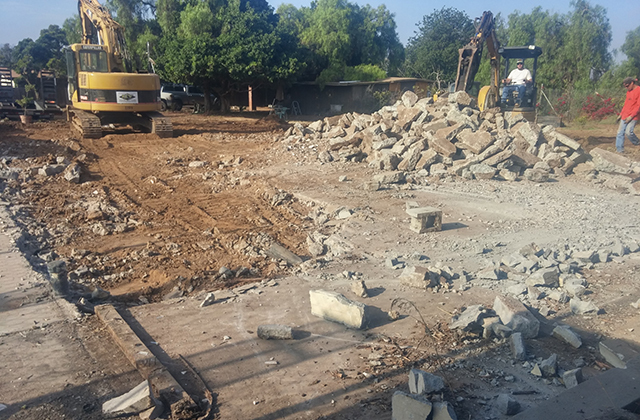 They have all worked in the trade for at least 15 years and are knowledge in every aspect of rough and finish grading, including excavating, earth moving, soil compaction, shooting grade (grade checking), and preparing the site for construction. We welcome jobs of all sizes throughout Oceanside, Carlsbad, Vista, San Marcos, and other cities in north San Diego County. This includes everything from small home renovations (e.g. changing the grade in your yard, creating a 2:1 slope for a retaining wall, correcting the drainage in the backyard, leveling an area for a patio or driveway, etc.) to large new construction and remodeling projects that involve permits, engineering plans, surveyors, and inspectors. All of our work is done to code, backed by a written guarantee, and completed in a timely manner. 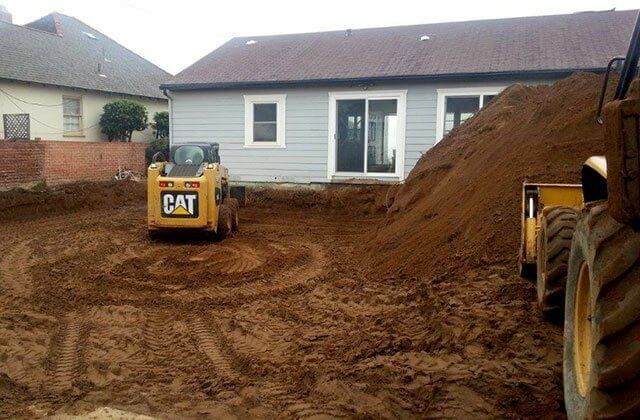 If you need a licensed excavating contractor in Oceanside, Carlsbad, Vista, San Marcos and the surrounding area with years of experience and an excellent reputation, call Hidden Valley Backhoe & Trucking, Inc. today. 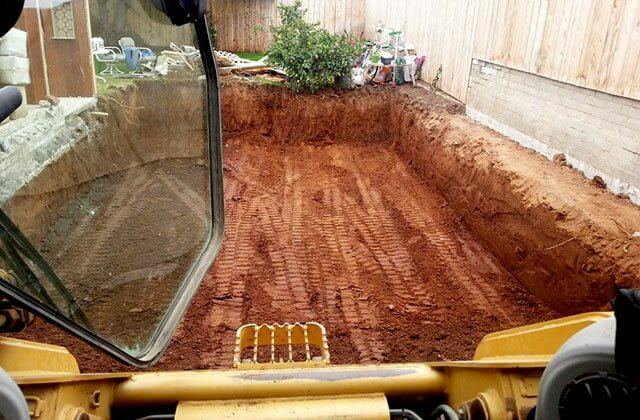 As a Class A general engineering contractor that specializes in excavation and trenching, we're qualified to install, upgrade, and repair underground utilities. 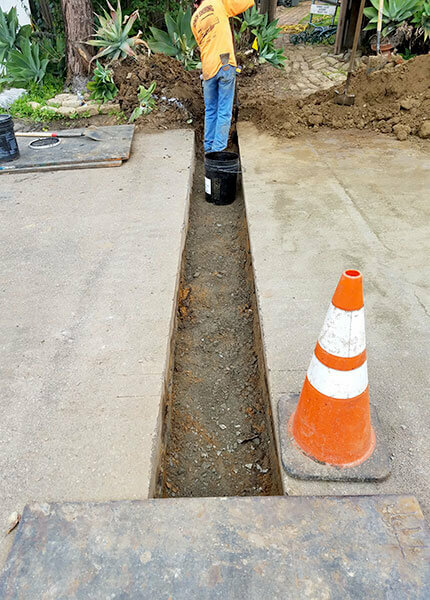 Every person on our team has more than 15 years of experience in the field digging trenches, laying pipe, backfilling, performing concrete/asphalt repairs, and hooking up service. We have an excellent reputation among local developers and engineers and often work hand-in-hand with utility companies to complete service upgrades, installations, and repairs. We work on both wet and dry utilities (water, septic, sewer, gas, electric, cable, and telephone) and welcome jobs of all sizes, from repairing a broken underground pipe to trenching and laying thousands of linear feet of wide-diameter piping. 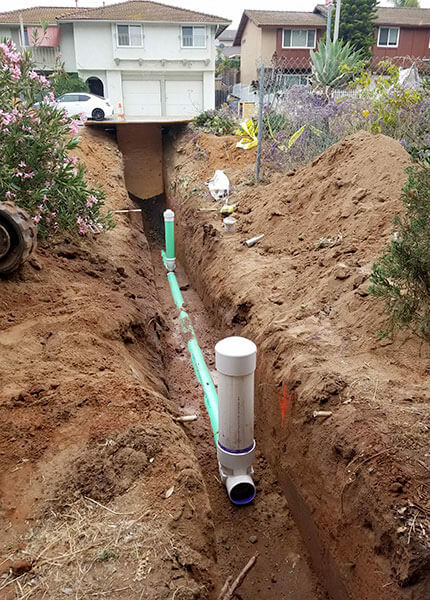 Call today to learn more about our underground utility installation, repair, and upgrade services available throughout Oceanside, Vista, San Marcos, Carlsbad, and other nearby cities. Emergency service is also available for water and sewer line repairs. 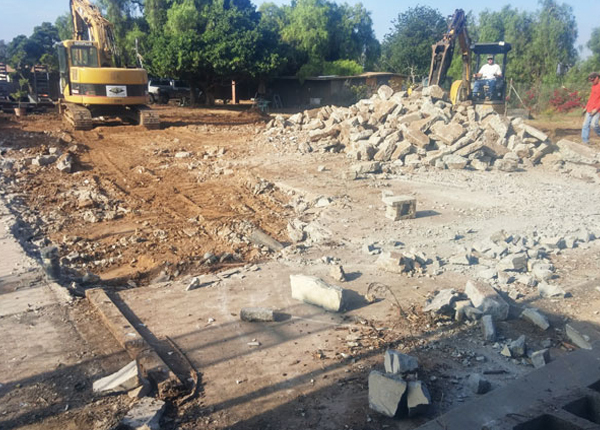 Call Hidden Valley Backhoe today to tell us about your land clearing needs in Oceanside, Carlsbad, Vista, San Marcos, or other nearby city. 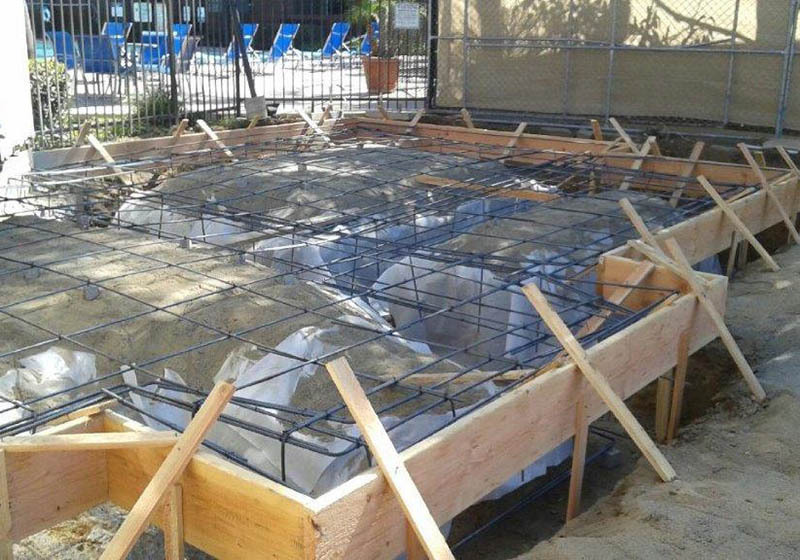 We're able to demolish underground and aboveground structures, including buildings (up to three stories high), pools, roads, patios, and nearly anything else made out of asphalt and concrete. If needed, we can also provide grubbing (removal of organic material, such as crabgrass, weeds, trees, etc. ), junk removal, excavation, dirt/soil export, and hauling. Because we can perform multiple scopes of work, we're often able to save our clients both time and money. 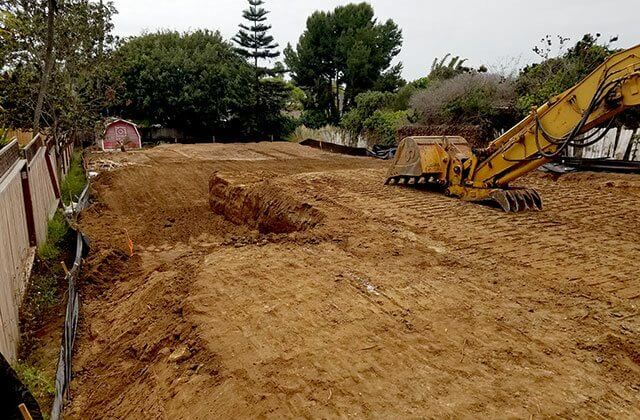 For most clients who require demolition, land clearing, and other site preparation work in Oceanside, Vista, San Marcos, and Carlsbad, we're able to be their one-call-does-it-all solution.